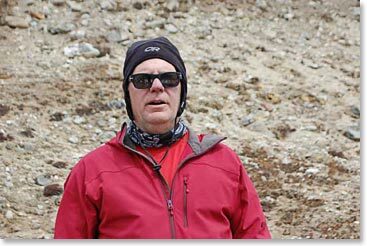 Everest Base Camp Dispatch: May 2, 2014 – Everyone is Doing Great in Gorak Shep! May 2, 2014 – Everyone is Doing Great in Gorak Shep! 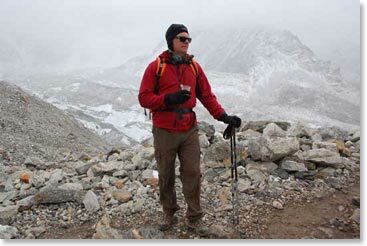 We started our hike this morning from Lobuche at 7:45 am. It was a little cloudy in the morning but it was not too bad. 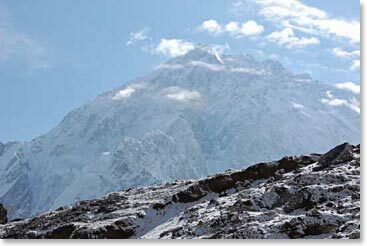 On our way to Gorak Shep we saw amazing views of Nuptse and Phumori. We arrived at Gorak Shep around 11 am this morning after a nice walk. Jatha brought us some nice hot juice on the way and we stopped for a while to enjoy it and the mountains around us. We had lunch and now Jim, Jim and Ryan are taking a nap in their room. Jackson is playing cards with Jatha and our other staff. Jackson has been doing very well on this trip, amazing! We have decided not to go to Kala Patar this afternoon since the weather is not so good. 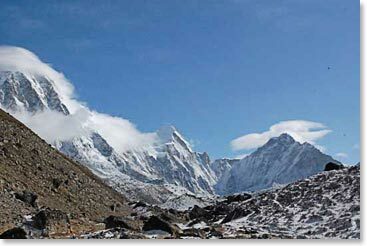 But everyone is very excited to go see Everest Base Camp tomorrow! Everyone is doing great in Gorak Shep! 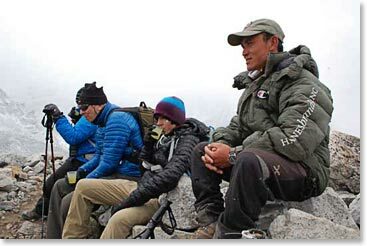 I called Min around noon and he said he and Dave are in Lukla and they are also doing great. Jim Allen takes in the fresh mountain air. 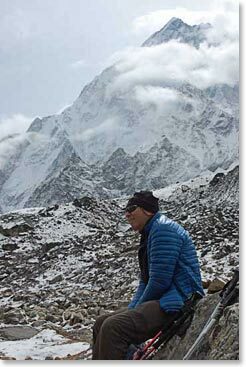 Jim Brown takes a break with Nuptse behind him. The team enjoys some nice hot juice provided by Jatha. Jim Allen enjoys his tea and the mountain scenery.